I have a lively group of painters who are always inspiring. All levels are welcome. The class includes time for instruction, painting, and critique in a very supportive environment. I encourage students to develop bodies of work and follow their own vision. Email me if you are interested in joining us. 6 week sessions: $150. per session. 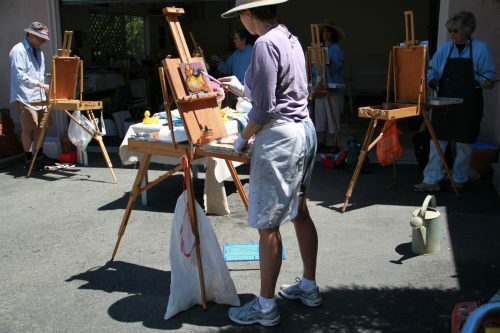 One on one sessions are available for painting, critique of paintings, or goal setting. $55/hour. I teach graduate level Clothed Figure Drawing at The San Francisco Academy of Art University . Sandra Speidel is an actively exhibiting artist, focusing on the figure and abstractions. Though her paintings are anchored in classic painting and drawing, they suggest a broader story through the addition of abstract marks and symbols.